It’s a holiday weekend, and if your house is anything like ours, then it may mean you need to be prepared for the unexpected guests. And, that means it’s always good to have a handy (and EASY) recipe up your sleeve. These meatballs are good enough to impress many pallets, yet easy enough to make while entertaining your guest. 1. Preheat the oven to 350. Grease a 9×13 inch baking dish with the olive oil. 2. In a medium bowl, mix together the ground turkey, egg, crackers, Italian herb mix, and garlic, using your hands. Form the meat into golf ball sized meatballs. Place about 1 inch apart in the hot baking dish. Press down to flatten the bottom just slightly. 3. Bake for 15 minutes in the preheated oven, then turn them over, and continue baking for about 5 more minutes, or until somewhat crispy on the outside. 4. Serve with pasta and sauce or however you’d like (pairs great with arrabbiata sauce). 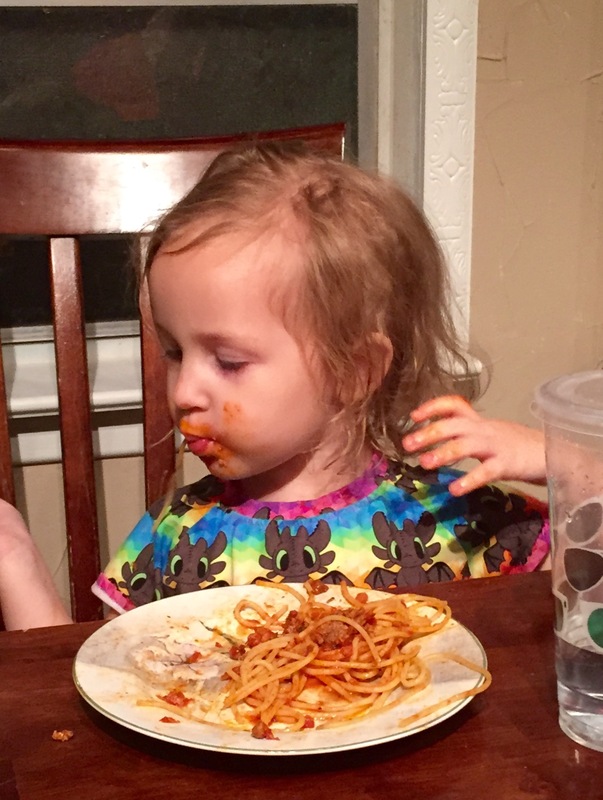 And if you were worried, this recipe is completely picky-toddler approved! They are seriously SOOOO easy.